Dr Phil: Accidental Drowning Common For Kids & Casey Anthony PTSD? Casey Anthony‘s former attorney Jose Baez said there were many misconceptions about the case of Caylee’s death. He addresses these misconceptions and other theories in his new book Presumed Guilty: Casey Anthony: The Inside Story. The biggest misconception, Baez said, was that Caylee was ever missing. Caylee died on June 16 2008 when she drowned in the family swimming pool. Casey Anthony was asleep and her father, George, woke her up. Casey told Baez that her father said he would take care of it. Baez was deeply disturbed by this revelation. Caylee Anthony was found drowned in the family swimming pool. Baez discusses theories of how Caylee really died in his book. George’s theory of how Caylee died is thought out and specific. He believes that Caylee was given too much of some drug by her mother or a friend and never woke up. Dr. Phil called this a chemical babysitter. George believes that Casey did this so she could go out and have freedom from her responsibilities. He said Casey wanted to live a life of partying and freedom. Baez said he has never heard George say that before now. Of course, it is all just guessing and theories. Baez said all of the toxicology reports on Caylee came back negative and there were ne drugs found to support this. Dr. Phil said George was there when Caylee was found but didn’t call 911. 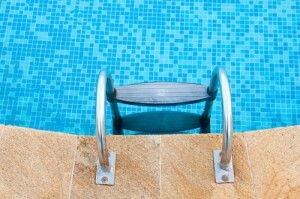 Accidental drownings are not uncommon with young children. Baez’s book lays out several scenarios of what could have happened, but he was not there. There were only one or two people that know the truth. Baez said he never knew anyone to hide pain like Casey Anthony. Even when she was on lockdown in prison, Casey want “happy like she was at a picnic,” Baez said. This ability to hide her pain was attributed to her past abuse and supposed post-traumatic stress disorder. Baez was told these things by the mental health official examining Casey. Dr. Phil said that signs of post-traumatic stress disorder are anxiety, recurring fears, reliving the traumatic event and strong emotions lasting more than for weeks. Dr Phil doesn’t think that Casey suffered from PTSD.